The Sydney Sensations, The Griswolds, are back! The band released their second studio album, High Times for Low Lives, last November and began their headlining tour this month. 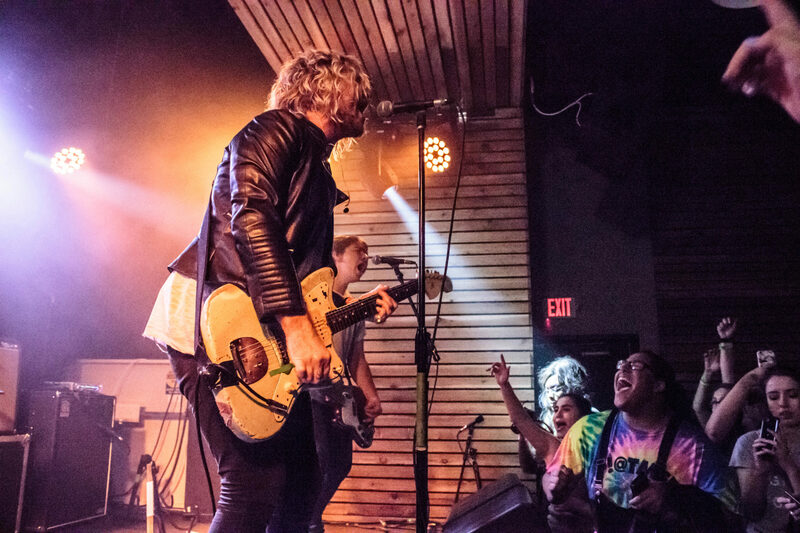 The indie-rock, alternative four-piece are no strangers to the state of Texas so it came to no surprise that they would perform to a sold-out crowd. We got the chance to chat with lead singer and guitarist, Chris Whitehall, about touring, the recording process of the new record, Texas and his unique hobby as a cabinetmaker. CR: How are you feeling today? CW: I’m feeling great; we’re a little over a week into this tour and it’s amazing! Tonight just sold out and it’s very cool. 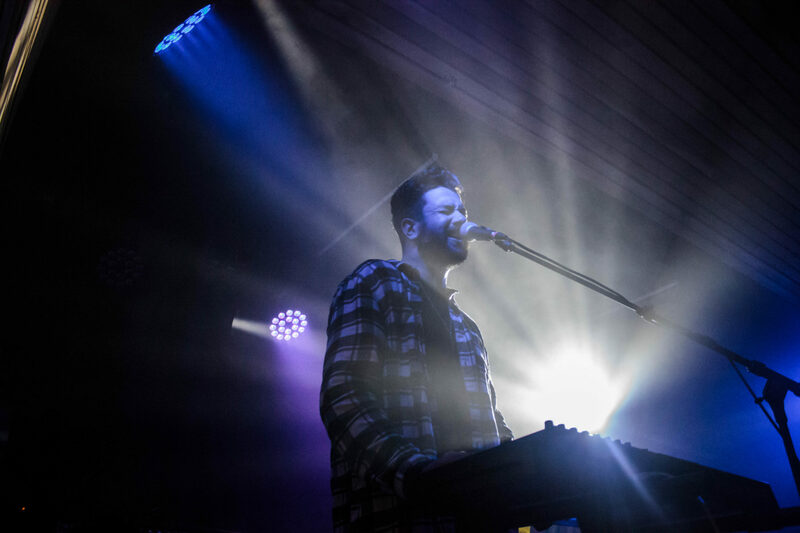 CR: You’re no stranger to Houston – you’ve toured here with Magic Man and Walk the Moon. Is there anything different about this time around? CW: I think for us it’s like the first time we’ve done a real headliner on our own. The shows with Magic Man were headliner shows but they were co-headliner shows. So this is the first time we really get a chance to put on a real show of our own. That’s exciting for us. CR: Let’s talk about this new album. I heard that it was based off of your experiences touring the U.S. and all over the world. CW: Yeah, the album was written about the last two years. After our first album came out and had some success, we started doing a whole lot of touring and I guess we weren’t kind of prepared for life – we weren’t prepared for what that entailed. A lot of things were readily available all the time…for a band, that was kind of scary. It was like ok, all of a sudden we were living in a bus, you know, with all of our friends. And you know, it was lots of parties and lots of fun but those parties also come to a lot of loneliness and a lot of dark times and a lot of drinking. So it wasn’t always fun at times and we wrote an album about that. CR: In your previous album Be Impressive, “Beware the Dog” has over 17 million hits on Spotify – was there any pressure going into this one to reach that level of success? CR: So have you taken some of those lessons that you’ve learned on your past tours and applied them to this tour? Have things been a bit mellowed out? CW: I feel like we’re growing up. We’re maturing…kind of [chuckles]… a little bit. And I gotta say for me, I’ve made it a point to drink lot less on tours and things like that because it’s just too easy to do, like there are always cases of beer and vodka and it’s all free and people want to buy you shots all the time, it’s lovely – I never say no to free shots – but it’s just too easy and available sometimes and you gotta let go and say ‘I don’t wanna do that’ or else you’ll be slamming booze every day and it’s really unhealthy. CR: Is that why you started this new album with “Role Models” to set the scene? CW: Yeah, that song specifically was just something I had written down in my journal for a long time. It’s such a beautiful thing. Fans are writing to you on Twitter or on Instagram saying ‘I love you,’ ‘you’ve changed my life’ or are thankful for me and that I’ve inspired them, and I’m like, ‘Me? Really?’ I’ve done bad things. I’m a human. I’ve done things I’m not proud of…sometimes I drink too much or party too much and pull Eli from Walk the Moon into a pool and not remember it. I’ve done stupid things and I’m like, ‘I’m a role model?’ That’s a scary thought for me so I wanted to write a cheeky song saying that says we’re not your role models. CR: Well I think fans really connect with artists who have flaws and who also just look like they’re having a good time. CW: Well we’re all floored; we’re all floored together. It’s such a beautiful thing – everyone’s so different and everyone has such different experiences but in the end, like I say, most nights on the show we all make mistakes; it’s just how you learn from them that makes the real big impact. And that’s what the whole album is about basically. CR: Sonically, this album is very different from Be Impressive – can you talk about that? CW: I think what goes in comes out. We were listening to a lot of R&B. I had The Weekend’s album on repeat and Kendrick Lamar, as did Dan as well. When we went into this record it just what happened – it’s just what came out. The person who produced this album is Grammy-award winning world hip-hop producer, Andrew Lawson. We went in to make the album with him and he had all the big, low-end hip-hop kicks and we were like ‘yes’ this is bouncy. It has a very R&B feel to it from all those factors. CR: Do you think this is where The Griswolds is going towards sonically, or was it more about how things naturally came together for just this album and story? CW: I think it’s just for this album. I mean, who knows what we are going to sound like in the future. We are constantly evolving, we are constantly inspired by new and different things, so I have no idea what our sound is going to be like. Who knows, album three could sound more like Be Impressive or it might evolve further into more rap, R&B and hip-hop. We’ve just started writing a bit for the third. CR: I mean, you just started your tour for this new album! CW: It doesn’t take long after you put out a record and start touring to start writing a bit on the road. I’m excited to start and see what happens with album three. When Dan and I write it’s always fun. CR: In the middle of the woods? CW: Yeah, in the absolute middle of nowhere, having fun, just two brothers writing songs together and whatever comes out, comes out. As long as we enjoy it, the process, then we don’t have to think too hard about it. When we love it, when we’re excited, we jump up and down. CR: And on the other side of the spectrum, how are fans responding to this new album? CW: The response has been great. Last night we played Austin and there were hundreds and hundreds of people singing old songs and new songs and that’s the greatest sign that people are really into it. When people are singing the new stuff it’s a true testament to me and I’m so happy and proud of it. CR: Between High Times for Low Lives and Be Impressive, is there a particular song that you are really proud of? CW: Lyrically, there are a couple on the new album that I’m really proud of for their lyrics, like ‘wow, did I really write those?’ “High Times For Low Lives” and “I Want It All” are both really honest and raw. They are really true and real accounts of what I was going through at that particular time. CR: Are these the same songs that you enjoy performing? CW: Yeah. We are playing a lot of new stuff tonight and on this tour and I’m adoring getting to play some of these new tracks. CR: So going back in time a bit to when you were still in Sydney, I hear that you are a cabinetmaker. Can you talk about that? CW: Yeah, I built my girlfriend a birthday present, a jewelry holder, a few months ago. If I had more time, I would be building stuff all the time. CR: So another random tidbit, I checked your Twitter and saw that you got a tattoo in Austin yesterday. What does it symbolize? Whitehall showing his new tattoo to us. CW: It’s like two people hugging and represents equality. Who cares about race, religion, male or female or who you’re attracted to – let’s just all hug! CR: I also heard that you guys love Torchy’s and Whataburger in Texas. What is your favorite thing to order? CW: All the Texas food is just the best! We had Torchy’s for breakfast this morning and I got the green chile pork taco with poblano sauce and it was beautiful. CR: Tex-Mex truly is the best food. CW: So good! Whataburger, Sonic and my favorite sushi restaurant in the U.S. is in Austin. CR: So you have been traveling in the U.S. for a while now – are there any customs or sayings in the U.S. that you still don’t quite understand? CW: Tipping. I live in California now and tipping is one thing I will never understand. In Australia, we don’t tip because we pay our workers the right amount. Still sometimes, when I go out to dinner I’m never sure of how much I need to tip and who I need to tip. And those people in the bathroom who are waiting with amenities, do I tip them too? I don’t tip them because I can wash my own hands and get my own lozenge. Definitely something to get used to for me. CR: What can fans expect to see from this tour that is different from the other tours? CW: New music, definitely. We are trying to put on a real performance now. Previously, we didn’t have the music and the chance to have a dynamic of ups and downs throughout the set. It used to just be a loud party set. I’m really enjoying taking things back a bit and really chill numbers that allow me to be with just the piano. It’s more theatrical, it’s starting to feel like the show is coming together after all the touring we’ve done. 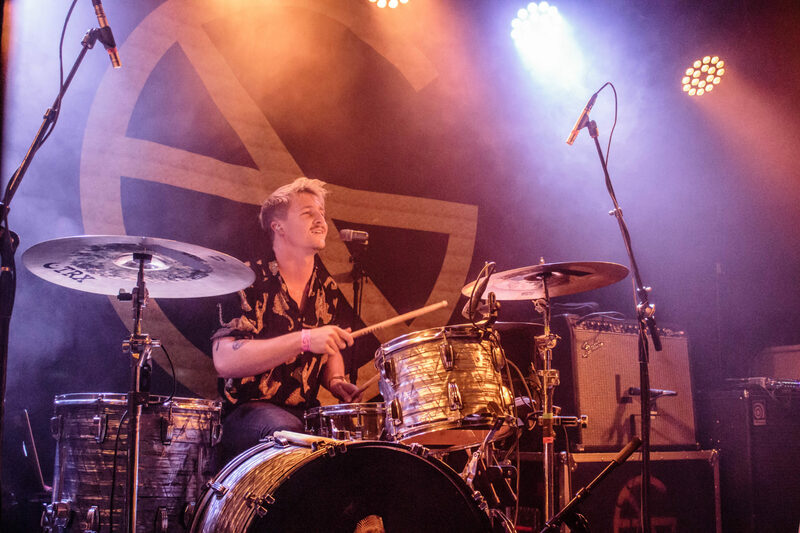 You can still catch The Griswolds on the Low Lives Tour. Gleann Ignacio is one of the Web Editors for Coog Radio. She is studying towards a major in Broadcast Journalism and a minor in Computer Graphics Technology. She’s provided coverage for a number of online music publications for years, including running a site of her own. In addition, she co-hosts her own podcast about professional wrestling and pop culture. She enjoys Supernatural, attending concerts, basketball and hanging with her dog. Follow her on Twitter and Instagram (@gleannignacio).